The Port Authority of New York and New Jersey has embarked on its first-ever Part 150 Noise Land Use Compatibility Studies for its airports in New York and New Jersey. There are four separate studies underway for John F. Kennedy (JFK), LaGuardia (LGA), Newark Liberty (EWR), and Teterboro (TEB) Airports. 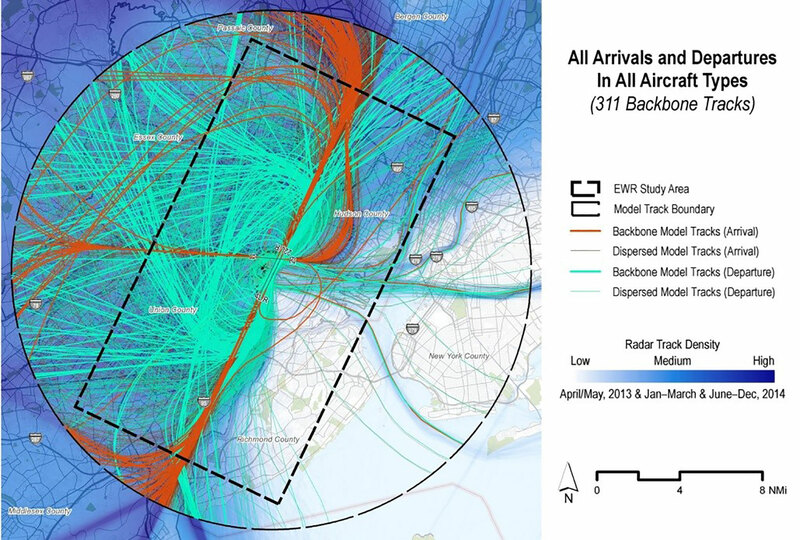 HMMH is preparing studies at EWR and TEB. HMMH has prepared Noise Exposure Maps for existing and future scenarios, and is currently evaluating a range of noise abatement and mitigation strategies, including: preferential runway use, noise abatement flight procedures (including Performance Based Navigation), ground noise mitigation, residential and institutional sound insulation, and various land use management strategies.